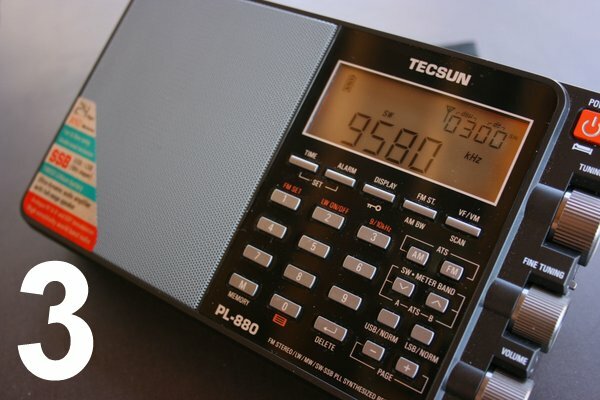 Weak signals: Which radio do you prefer? 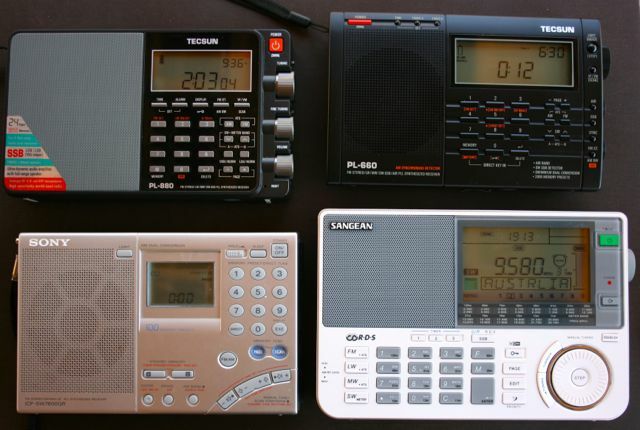 I’m in the process of reviewing a number of shortwave portables and pitting them against each other. 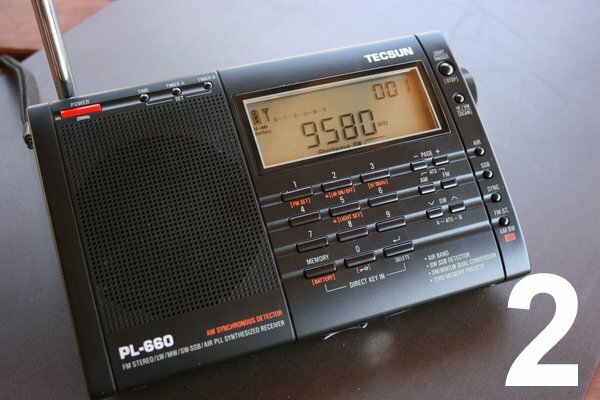 Sometimes, it can be very difficult to decide which radio is better–especially if you have more than two radios to compare at a time. What I’ll often do to help level the playing field is to make an in-line recording of each radio (via my Zoom H2N handy recorder) with the mic and volume levels equal. I then tune to the same frequency with similar filter settings (wide, maximum RX gain, antennas fully extended, etc.). I also like comparing radios while listening to weak signals and/or when conditions are less favorable. 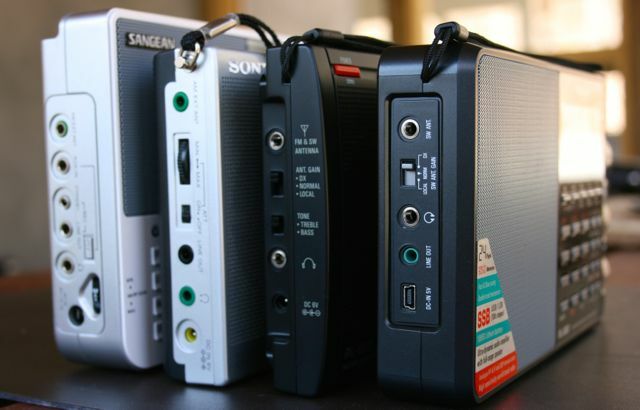 Those were exactly the circumstances yesterday when I pitted four radios against each other: the Sangean ATS-909X, Tecsun PL-660, Tecsun PL-880 and the Sony ICF SW7600GR. I found a weak signal from Radio Romania International on 11,975 kHz. Normally, the signal would have been stronger, but propagation was rough and QSB (fading) was pronounced at times. Under these conditions you get the opportunity to hear how the AGC circuit handles fading and troughs, how the noise floor sounds as conditions change and note the overall sensitivity. While I give priority to a receiver’s sensitivity and selectivity, there’s more to evaluate–for example, sometimes the more sensitive radio may be less pleasing to listen to. Below are three recordings of Radio Romania International made from three of the four radios tested (I did not include one of the four radios that was notably less sensitive). These are audio snapshots, but represent what a listener would hear via headphones during similar conditions. All recordings were made within a four minute period of time. Which of the three recordings do you prefer? 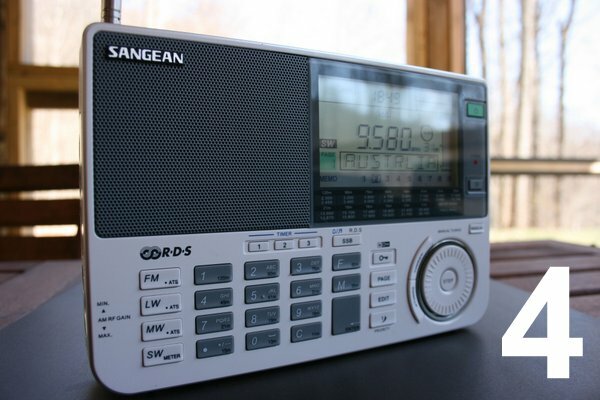 Which radio do you find handles these unfavorable conditions best? Why do you prefer one over the others? Please add your comment below, or contact me via email with your favorite and any comments. I’m also very interested in which one you believe is second best. 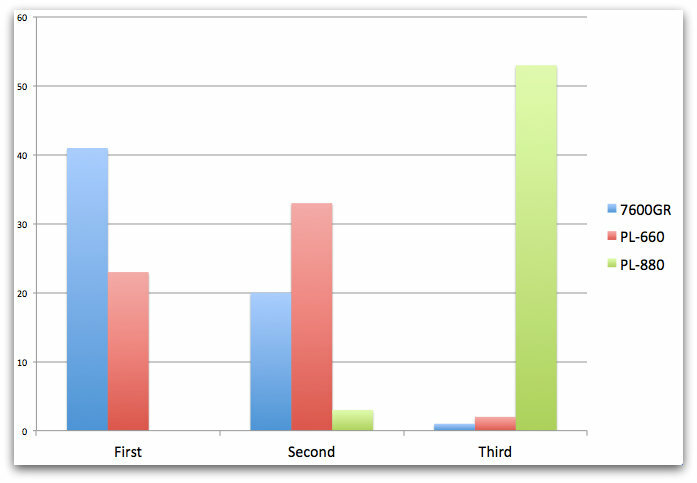 I’ll tally up the results in one week and will reveal which radio came out on top! 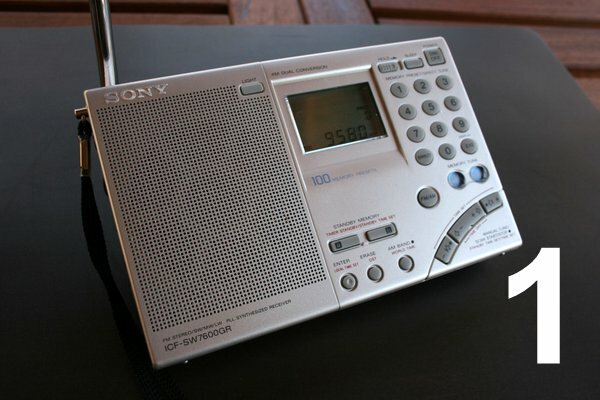 This entry was posted in News, Reviews, Shortwave Radio and tagged Comparing Radios, Radio Comparison, Reviews, Sangean ATS-909X, Sony ICF-SW7600GR, Tecsun PL-660, Tecsun PL-880 on April 14, 2014 by Thomas.